The spring puts me in mind of eggs. I watch an episode of David Attenborough’s “Natural Curiosities” series about eggs called “Incredible Shells”. There’s such a huge range, from Ostrich to Quail, and everything in between. I like the metaphor of them – strong enough to carry life, vulnerable enough to break open when pecked from within. I read Jackie Morris’ “Tell Me a Dragon” that includes an artistic work of archivism in its appendix: an itemisation of dragons from around the world, and the eggs from which they hatch. 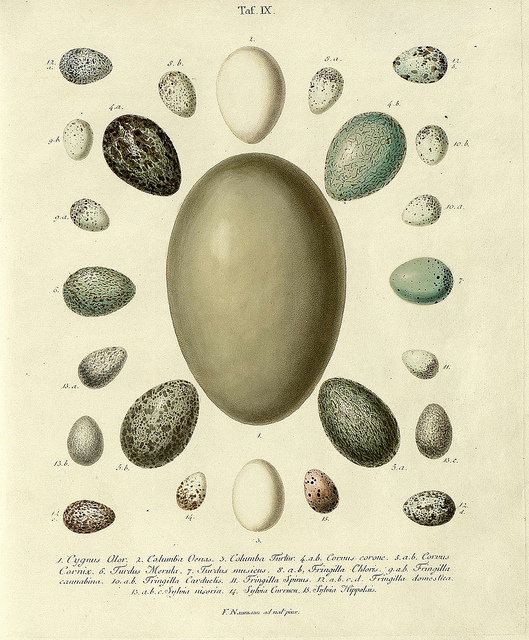 Perhaps more than any other natural object eggs symbolise life and rebirth. We instinctively know they offer a physical approximation of both our own fragility and our capacity for creation. Within them is mystery, but their shells offer clear, knowable contours that affirm our desire to apprehend the riddle of life. What does spring bring to mind for you?